27.07.2014. Glasgow, Scotland. Glasgow 2014 Commonwealth Games Day 4. Weightlifting. 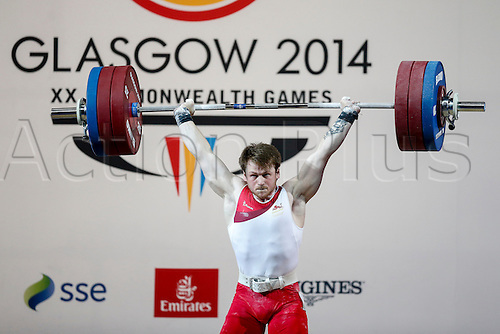 Jack Oliver of England in action in the Mens 77kg Final.